This past week for the Project 52 our topic was Shadows. I love the tree shadows on the snow! Love shadows! The snow. . . . it's pretty but can't say I love it. See, I do love it. I love the black and white contrast. This is a really great picture idea. I love the shadows on the snow. These are both pretty pictures! I love the shadows of the trees the best. Looks like a fun photo challenge too! Oh snow! I am so jealous. 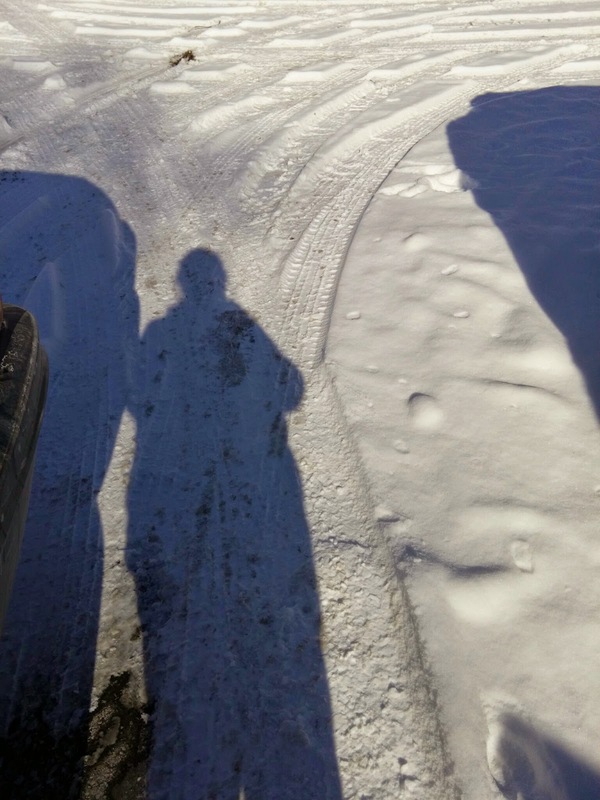 I wish we could take some shadow pictures in the snow. I love the idea of taking pictures of shadows. The second photo is my favorite. It amazes me how quickly kids change. Capturing the moment even if it's shadow is a great way to remember. I love this what a great idea. My daughter wants to take my camera and go take photos outside, bet she would love to do shadows! The curved tree shadows are amazing and so calming to look at. What great shots! The snow makes for interesting backgrounds. I love the way the shadows fall on the snow. Those are great pictures! 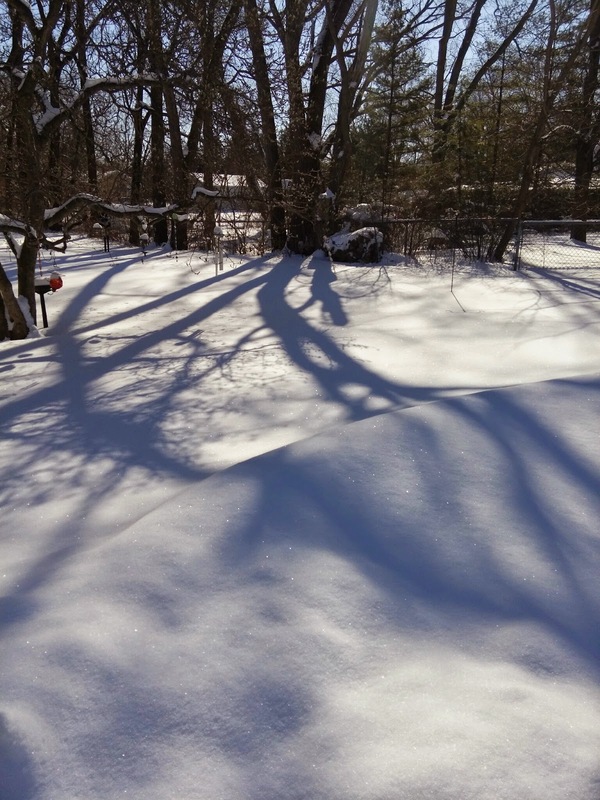 I always love the shadows of the bare trees on the snow in the winter! I love these pics! The one with the shadows of the trees is especially nice! Some shadows would make for wonderful pictures. What a great idea! Just love this challenge. Shadows is a great theme. What a fun challenge. I love to capture the light of the day at different points, but I need to capture more shadows to see what I come up with! Your photos are fantastic! I love the look of shadows. Every year I say I'm going to do this! And I forget! I can't wait to see all of your other photos. What a fun project. Shadows are so much fun! I really like the photo of the tree shadow in the snow. I love shadows! They are so cool -- especially in the snow! What a neat photo project. I really like that second photo pictured! Photo challenges are always my favorite. 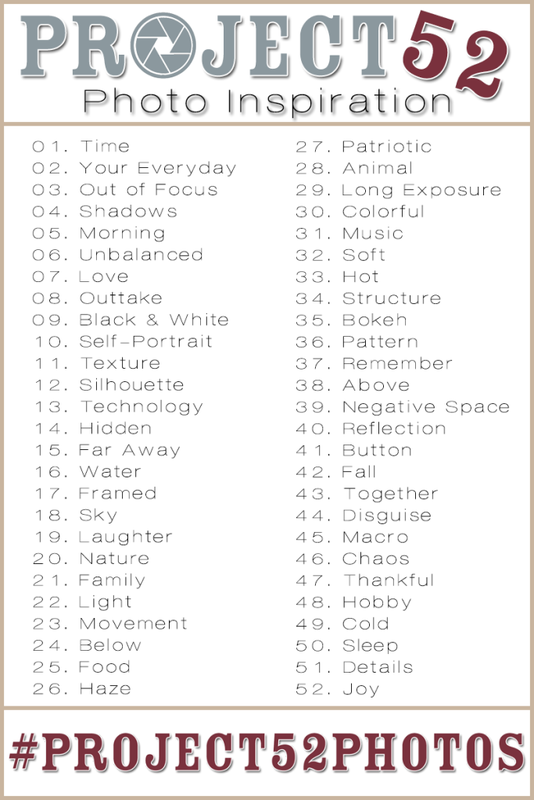 I think it lets you get very creative! I hadn't seen the photo challenges yet. But I liked your snow shadows. Oh shadows...you are the very reason my 2 year old refuses to sleep in his own crib this week. I am starting to despise you even though you are pretty darn cool. Shadows are awesome. My kids like having fun with theirs! Love the shadow of the trees on the snow. So beautiful, and makes me jealous because we haven't gotten more than a few flakes here! Love the shadows! They are so fun and the contrast of the dark shadow against the snow is great! I love this challenge! I want to join in late. What a fun challenge. Your pictures turned out beautiful with the snow as the background. I love these challenges. I have always wanted to do them but I forget. I love the shadow pictures. Great challenge! When my kids were little they always thought that their shadow was Peter Pan. It made me laugh. Beautiful shots. I love these day by day inspiration art projects, they always inspire some wonderful art.